Google is working on technology capable of delivering home Internet speeds of 10 gigabit per second within the next three years, USA Today is reporting. Currently, Google offers 1 gigabit Google Fiber service to Kansas City, with service coming soon to Austin, Texas and Provo, Utah. 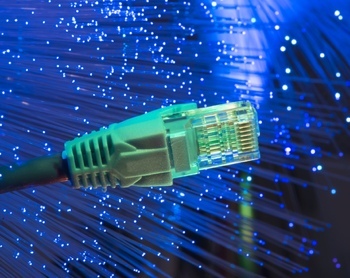 A number of other towns have also created their own municipal gigabit networks. Few are able to reach speeds of 10 gigabit; the ones that do are typically expensive and reserved for business use. Most high-speed home Internet, meanwhile, is provided at speeds slower than 10 megabit per second. That’s one-thousandth the speed of the proposed 10-gigabit service. Will Google be able to follow through on its plans? Certainly the company is financially capable of making major infrastructure investments. But at the same time, Google will have to fight against an industry that doesn’t want more competition. Lobbyists from Comcast, Time Warner and other ISPs recently helped the Kansas legislature write a bill to prohibit municipalities from offering their own gigabit networks. Anti-Google pressure will only increase should the government approve the proposed Comcast/Time Warner mega-monopoly. To learn more about home Internet options, check out Techlicious's must-know guide to choosing a home Internet service provider.